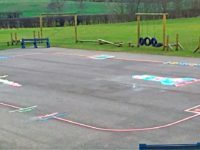 On a bright but bitterly cold winter’s day, our team traveled just down the road to St Patrick’s Primary School in County Durham. 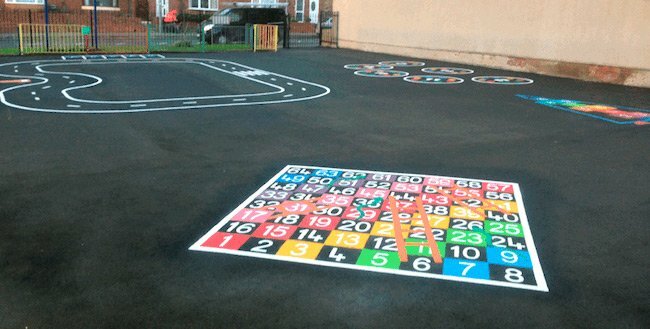 The task at hand… to install a wide range of playground markings, including Dance Class Moves, Rocket Hopscotch and Snakes & Ladders before the winter sun went down. 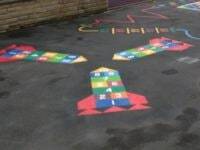 There were two playground areas to be covered, the infants playground to the front of the school and the Key Stage 2 play area at the rear. 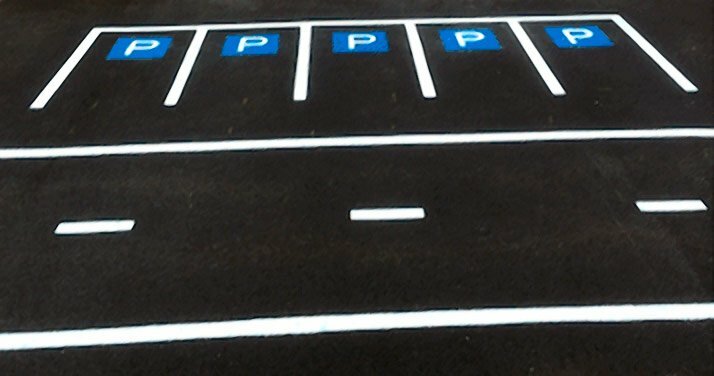 In freezing conditions the team had to work quickly to complete the markings before the winter sun set. 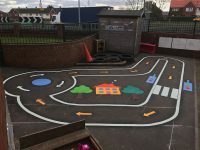 The infants yard got a bespoke Bike Track with Petrol Pump, Parking Bays and a Zebra Crossing plus a vibrant 1-64 Snakes & Ladders, a Dance Class Moves activity area and a brightly coloured Rocket Hopscotch. 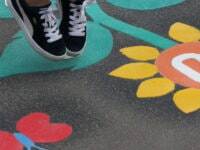 In the Key Stage 2 playground we installed a larger 1-64 Snakes & Ladders using 400mm squares, another Dance Class Moves, two Hopscotch grids and a Football Pitch.